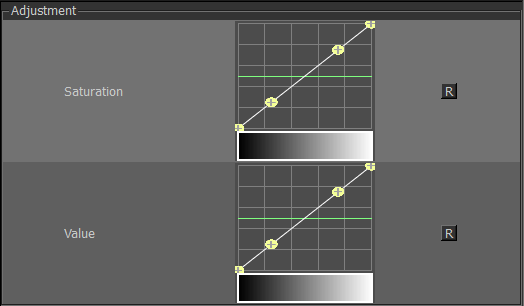 along curves, effectively remapping the Saturation and Value separately. Modifies the Saturation component of incoming colors. will adjust colors with saturation over 0.5. Modifies the Value component of incoming colors. will adjust colors with values over 0.5.